NEW YORK – Hello Giants fans, I would hate myself down the road if I didn’t write something about QB Eli Manning and Victor Cruz, right now. The numbers simply don’t lie. Manning is an elite NFL QB, period. Add to that, WR Victor Cruz is emerging as an elite NFL WR in his own right. I won’t use words like staggering or gargantuan (I so very rarely get to use that word in a sentence, thanks QT) but I will say that both Manning and Cruz have been steady and strong, quietly climbing up the rankings and everyone can see it now. They have proven to be resilient, just like this 2011 Giants team. Let me give you a breakdown of Cruz, look at what he has done this year versus established and elite NFL WR’s. The passing game is going so well that the running game has suffered a bit. Giants WR Victor Cruz is ranked 8th in the NFL for receiving yards. Who are some of the elite players at WR that are below Cruz? Well let’s see, there is WR Roddy White, WR Reggie Wayne, WR Dwayne Bowe, WR Vincent Jackson, WR Marques Colston, WR Anquan Boldin, WR DeSean Jackson and the list goes on and on, including a guy you may know named Hakeem Nicks. He is also tied for 5th place in the NFL for most WR TD’s (4). You have to remember that Cruz is doing this from a No.2 or No.3 WR position. Those other WR’s mentioned are No.1 WR’s including Nicks, who is the Giants No.1 WR. I would be lying if I said that I didn’t see this coming because I did. I noticed Cruz immediately in training camp WR Victor Cruz, No.80 – photographs This was in 2010 up at the University of Albany. The New Jersey native just had something, he was out there catching everything and making plays. I have been watching Cruz from that moment until now. He is playing so well, that he has become relevant in fantasy football. Now that is really saying something and a testament to quality performances on the field. On top of everything, he is a great guy off the field. What more could you ask for from a young and talented wide receiver? Hate it or love it, Victor Cruz is playing on an elite level right now. The numbers don’t lie and he should be voted into the Pro Bowl. I can’t wait to see what he does against the Eagles on Sunday night. 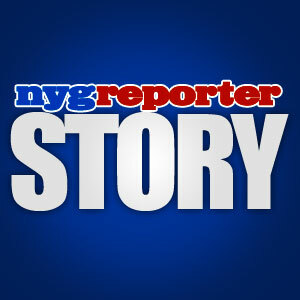 Cruz was at Juliet Supper Club in New York this week when a shooting occurred and killed one man in the place. Cruz was with a few other Giants players celebrating a birthday (no Giants were injured). I think that put things in perspective for him about going out and seeing how your life can change in a moment. Look at WR Plaxico Burress as a perfect example. Right or wrong, Burress went to jail for a few years and that’s the way that story ends. The wrong place at the wrong time can even get you killed. Players cannot stop living their lives over these occurrences but it should keep them on their toes and making smart choices. 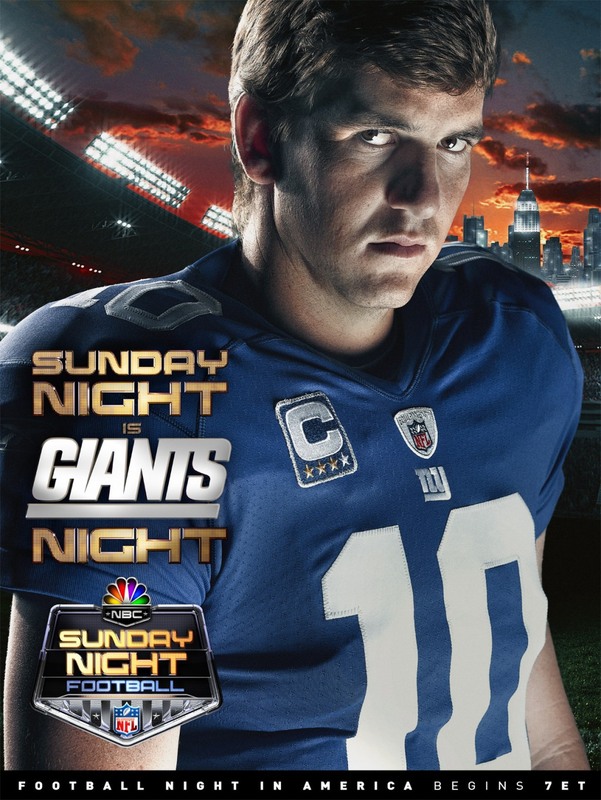 You can tell by this TV promo for NBC Sunday Night Football (11/20/11 at 8:20 PM EST) that Giants QB Eli Manning is not playing around this year and has grown into a man who commands respect. The Giants play the Eagles in what should be a classic divisional battle, between two teams that really dislike each other. Get ready for some action Sunday Night! This entry was posted on Thursday, November 17th, 2011 at 6:25 AM and is filed under 2010 NFL Training Camp, 2011 Fantasy Football, 2011 New York Giants, 2011 NFL Regular Season, 2012 Pro Bowl, A Journey for 9/11, Big Blue, Chris Mara, East Rutherford, Eli Manning, G-Men, Giants, Giants Coaches, Giants Front Office, Giants History, Giants Roster, Giants Stadium, Giants Training Camp, Jerry Reese, John Mara, Jonathan Tisch, Justin Tuck, Kevin Gilbride, MetLife Stadium, New Jersey, New Meadowlands Stadium, New York, New York Football Giants, New York Giants, NFC East, NFL, NFL Draft, NFL New York Giants, NFL Schedule, Nilay Shah, NY Giants, NYG, NYG Blog, NYG Charity, NYG Draft, NYG Exclusive, NYG Fantasy Football, NYG Playoffs, NYG Regular Season, NYG Reporter, NYG Schedule, NYG Story, NYG Website, nygreporter, Pat Hanlon, Perry Fewell, Steve Tisch, Sunday Night Football, Timex Performance Center, Tom Coughlin, Tom Quinn, University of Albany, Wellington Mara. You can follow any responses to this entry through the RSS 2.0 feed. You can leave a response, or trackback from your own site. ah,the time of year when the g-men are supposed to collapse in november and december.if by any chance the giants and there fans think this game is not a must win,they are very mistaken given the upcoming schedule.and if the g-men dont think the eagles would love to spoil the giants party in the national spotlight sunday night they would be mistaken.we all know what the g-men have to do,especially with a fired up desean jackson who sat last week and destroyed the giants playoff hopes last year.the giants need to do what we all know they have a problem doing when they have teams on the ropes,and thats step on there necks.the g-men need to get up on the eagles by 10 to 17 points early and get the home crowd into it.if this is a tight game and the g-men lose,i will talk to ya next season because its over.people tell me no im crazy,but with the schedule they have and a chance to stop the eagles at home in front of a national audience,to fail would be a monumental collapse.so if that promo shot of eli looking so fierce is suppose to scare anyone,he better prove it sunday night buddy. I agree. This is a very important divisional win and NFC East win tonight. I’m floored by how many injured players there are for both teams. It is really crazy. I think the Giants defense has two targets and will make it known early in the game. They are WR DeSean “I’m Sorry Miss” Jackson and RB LeSean “Double Dribble” McCoy.